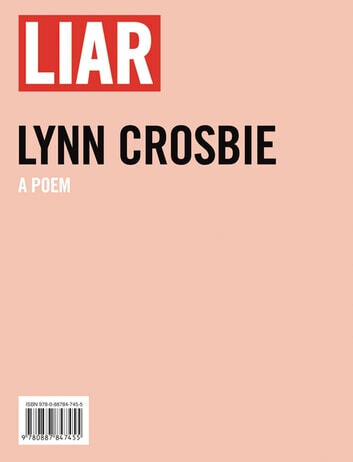 At once casting aside and reinventing the confessional mode, Liar is a booklength monument to love found, betrayed, renounced, and ultimately accepted as transformative. The white-hot immediacy of detail and scorching emotional honesty of Liar make for a compelling tour through one lover's accounting for her own actions and those of her beloved. From the delusion of ownership to the pain of estrangement, Crosbie's surgical intelligence exposes what romantics so often refuse to acknowledge: the lover's own complicity in her joy and suffering. 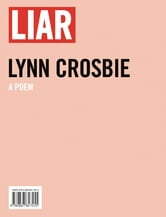 Swinging between the grotesque and the beautiful, Crosbie's depiction of the lover adrift alters how we think of the love poem -- indeed, how we think of passion itself.